A one-night dance event. Discover this lost art of socialising, being awkward and ultimately having fun together. Everyday is Another Day Tomorrow was first presented as part of Set. Departure (2009), a performance design promenade show. Rose Kirkup created the piece following conversations she had elderly resident Irene Drew during Rose’s time as a care worker. 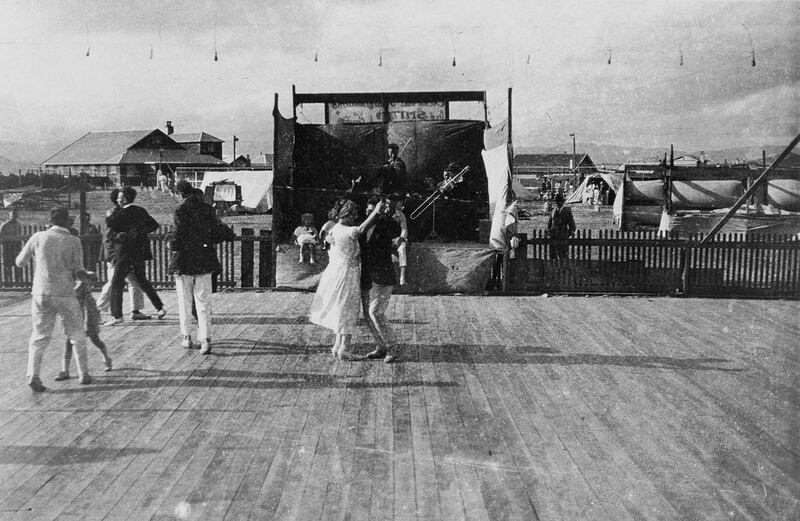 Irene had been disabled from an early age which restricted her from engaging with the social dances of her time. Drew told Rose of the love of her life that got away, how a younger generation don’t understand what it meant to live back in her day and overcoming life every day. 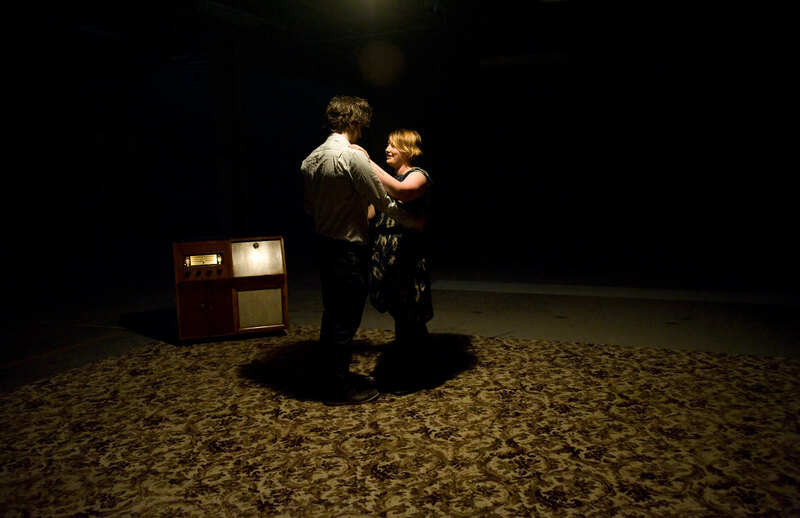 The performance looked at the awkward moments we share when first brought together. It featured the audiences surrounding the piece with Rose and Nic dancing in the centre. Slowly the performers snowball the dance, engaging passive audience members to interact with each other and become the performance. Everyday is Another Day Tomorrow was then remounted as the opening event of the Performance Arcade‘s 2012 Performance Series. Rose removed Irene’s narrative choosing to focus on a universal message of getting prepared for a special event. 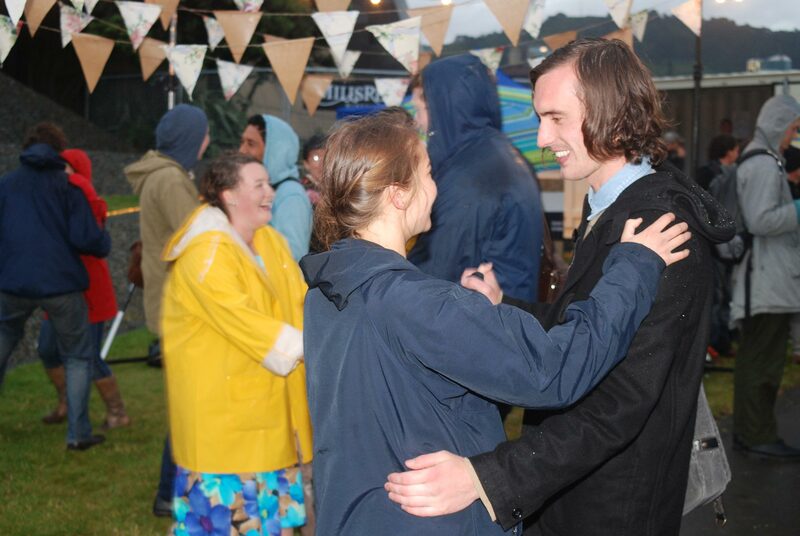 Wellington’s weather ultimately decided to downscale the performance which meant the work got stripped back to its bare essentials – dancing in the rain. Inspired by conversations with Irene Drew. Set. Departure, Print Factory, Wellington. Fellow presenting artists: Liz Carpenter, Rennee Dennison, Ian Hammond, Ashleigh Kane, Rose Kirkup, Richard Larsen, Rose Morrison, Rowan Pierce, Emma Ransley, Jessica Sanderson. Thanks: Stuart Foster, Cathryn Monro, Sam Trubridge. Made possible with support from Creative Communities.